Hmm... good point. We'll update that to to properly reflect its origins. 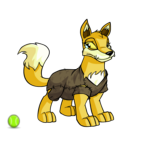 The paint brushes and Petpets in the newbie packs are meant to encourage new players to learn how to use these items. Their intention is not to be instantly sold for a profit. Making them no sell / no trade helps to insure that the items are put to their intended use. AHHH OH MY GOSH THE SKY IS MAKING MEAT BALLS FALL DOWN ON MY SNAKE FRIEND! Why are you looking at me. DISCLAIMER: We are not responsible for any mental or physical injuries sustained while participating in Tarla's Tour of Mystery event. This includes but does not limit to: concussions, insanity, random girly stances, loss of hair/fur/feathers, hallucinations of red Ixis, or twitching. Enjoy the event. No, Neopoints and Neopets items can only be exchanged for other NP / items. You may not trade items / NP for art of any kind and vice versa. It does not matter if it is made by our artists or you. Artists are welcome to either gift their art or trade art for art. Please note, though, that anything that is derived from our intellectual property cannot be used to make a profit. Hypothetically speaking, any food that your Neopet eats with a rarity between 90 and 100 when consumed will count toward the Gourmet Club, even if that item is later changed to another rarity. Items that are not the correct rarity when consumed will not count. Also, we can't really recall ever changing an item's rarity from something lower than 101 to another number below 101. (It may have happened, but if so it's so rare that we can't think of an example.) Generally an item's rarity will only change to r180 for retirement. Only if the harassment happens on neopets.com. If it is happening elsewhere, please report them on that site (or block them if possible). Not really; sometimes it's a question we haven't had to answer 334,553 times before. Believe it or not we DO listen to your feedback. Constructive feedback, that is. Ranting and raving about how awful we are because we're not doing something the way you personally want it to be done is not doing anything but wearing your keyboard down faster. We have several people who compile both positive and negative feedback from players so that we have various opinions on what players do and don't like. Oof, yeah... kind of like how the Wishing Well likes to give away that Nerkmid book and Baby Paint Brush Plushies... we'll look into the coding and see if we can improve the selection process. It might take a little while, though, because of The To-Do List. 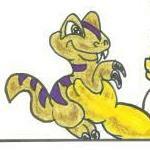 Prior to customisation the horns of the Tyrannian Acara went forward; it was during this time that the plushie was drawn. These days the horns go backwards so you can dress up your Tyrannian Acara all fancy-like. VAT stands for "value added tax." It's a government tax; not a Neopets or PayPal fee. Some countries now require Neopets to collect VAT -- it's the law in those countries. If you happen to be in a country where VAT is a required charge, then VAT will now be added to your Neopets payment total. For more information, please check out the NC Mall's FAQs under the "Purchasing Neocash" section. 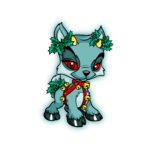 While putting them all in the Neolodge is a much cheaper alternative, if you prefer to hand-feed your Neopets you are more than welcome to transfer the items and Neopoints needed to your side accounts, as long as it's funded by your main. My mom looked amazed. "Save Petpets? There's an organization for that?" Transportation of several speedy neopets. "Oh no, hang on, I'm coming!" the Ixi yelled as she darted up the hill leading to the cliff.